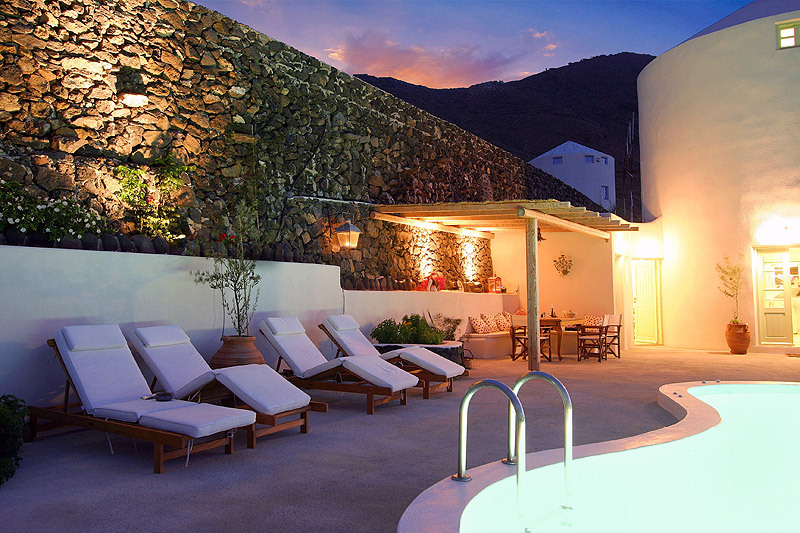 In one of the most beautiful places in the world, the magical Santorini, and in a biological estate of 1.500 sq. 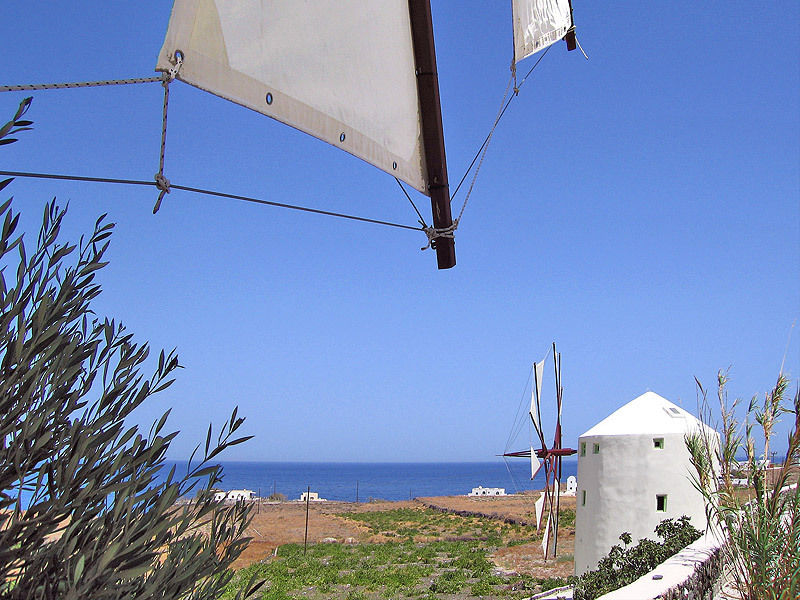 m. between the capital- Fira and the traditional settlement of Oia, Nestor and Fotini have created for you a special villa, a windmill. 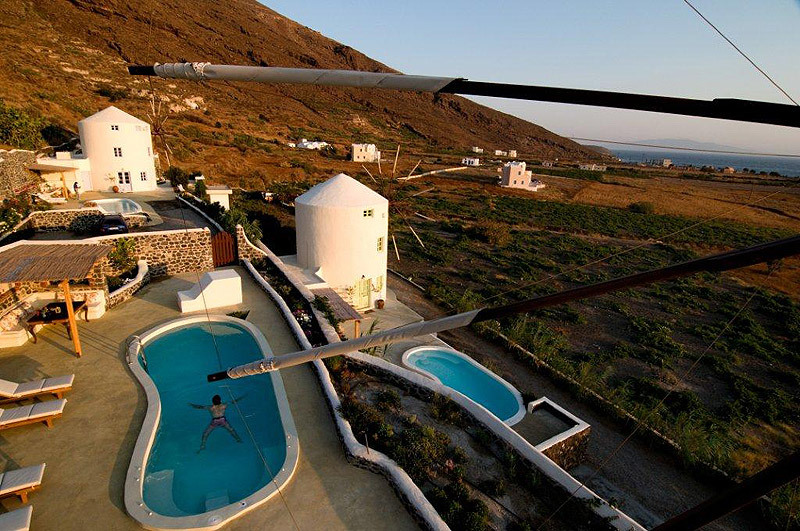 The uniqueness of the landscape with the surrounding vineyards, the chromatic alternation of the sea, the ampleness of the sky and the Cycladic architecture meet in order to offer you unforgettable moments of relaxation and welfare. 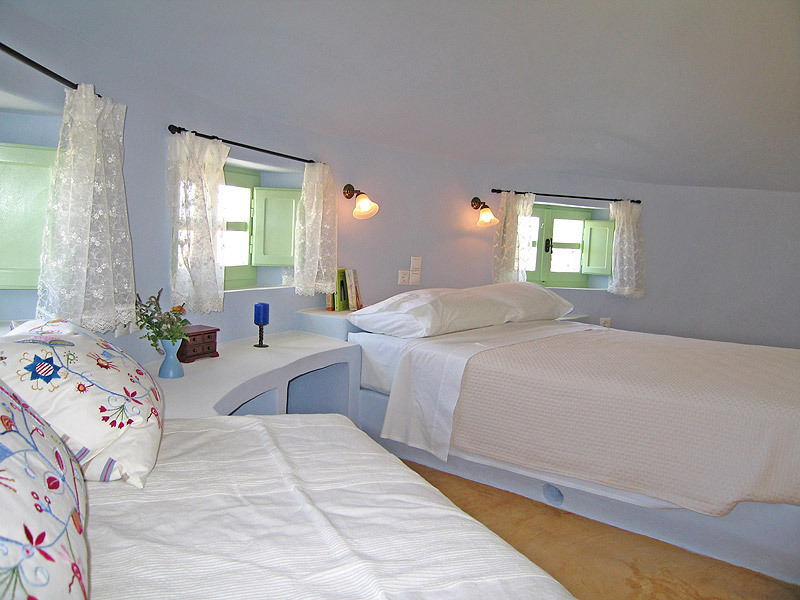 Staying in a windmill is an escape from reality, a trip to fantasy, a perfect co- existence of minimal design without compromises in luxury and modern comforts based on the simple elegance and sophisticated style fully covering even the most demanding visitors. 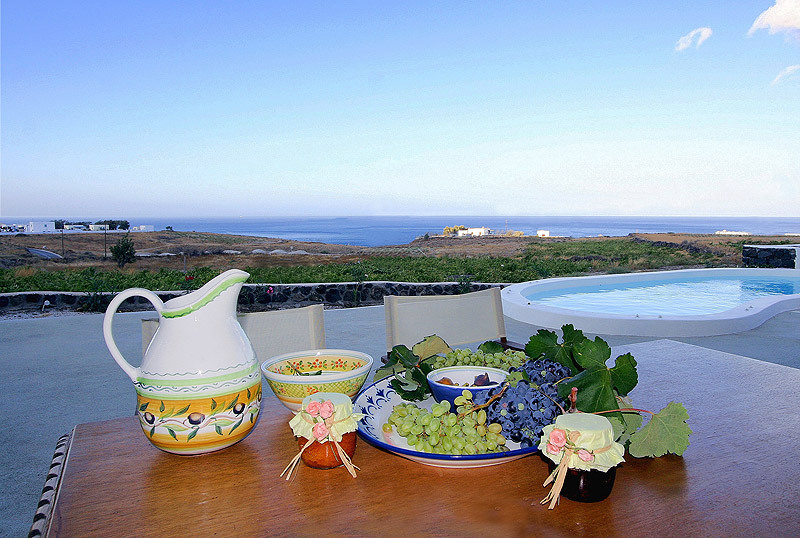 The ground floor with the small luminous windows and the panoramic view of the vineyards, the sea and the swimming pool is consisted of the living room, the dining room and the kitchen. Everything is made in a very ergonomical way, using ecological colours in pastel tones creating a sensation of well- being. On the way to the first and second floor, the staircase climbs on to the mill\'s round walls creating sculpture forms. 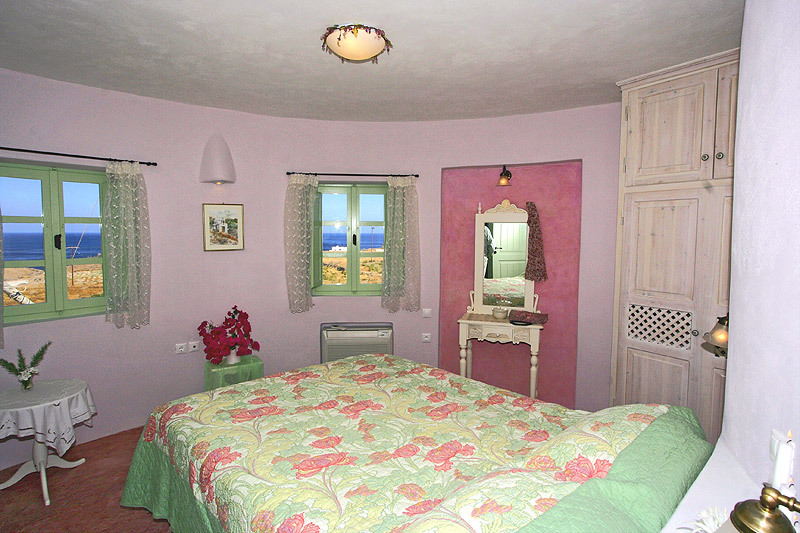 The first- floor bedroom with the romantic ambiance welcomes you to an inbuilt double bed comprising of an ecological mattress - upper mattress, feathery pillows and a wonderful bathroom with built forms are all provided for your rest, relaxation, dreams and loving moments... Don\'t forget to leave one of the shutters open if you want to see the sun rising from the sea. Surprises continue and reach their peak in the second floor in the cone-shaped room where nobody can imagine that this is the most comfortable room. 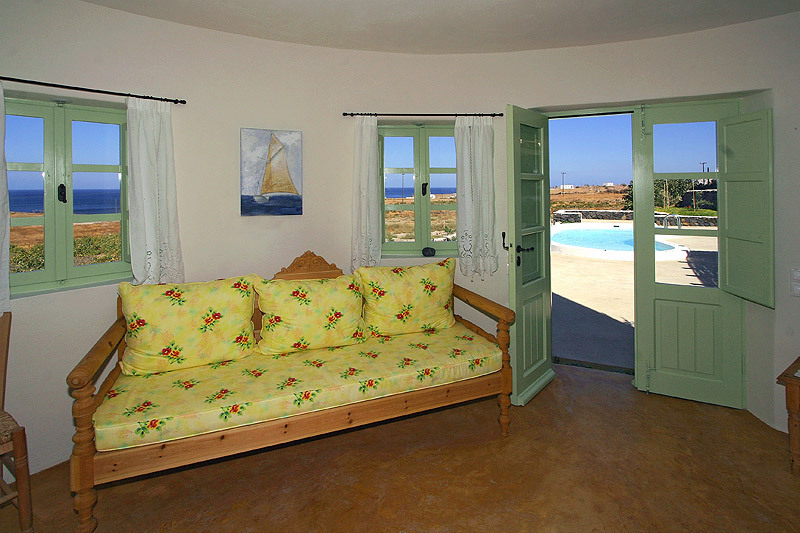 A double inbuilt bed and a single one, which can be used as a couch too, offer you additional space to move freely in the room or relax and gaze the islands of the Aegean Sea, the islands of Ios, Naxos, Amorgos and Anafi. The bathroom is something especially pretty as well. 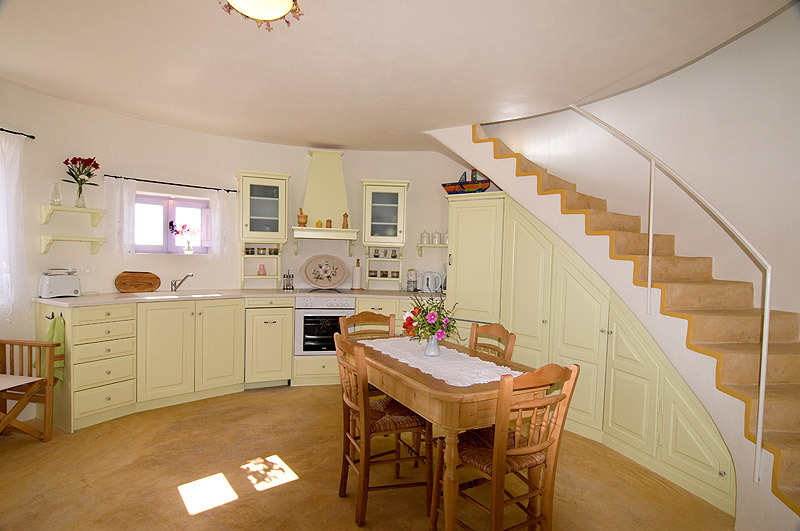 The circular architecture of the mill forms great spaces creating positive feng- shui. 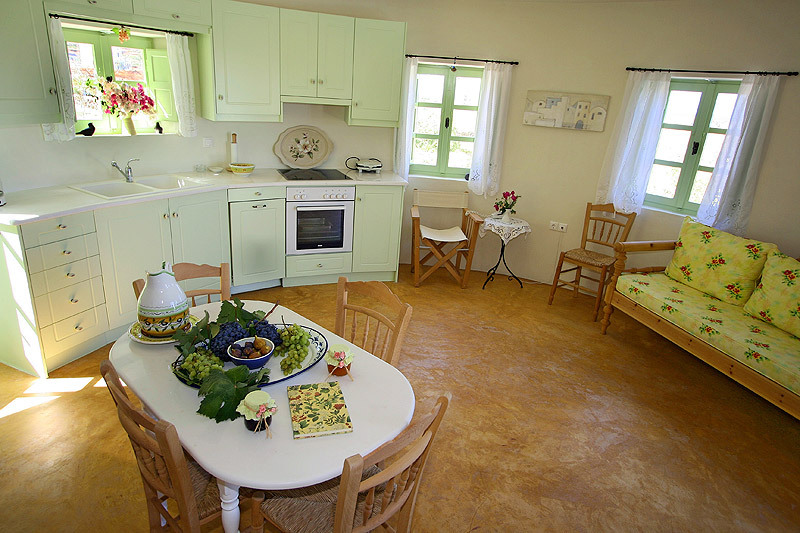 The traditional colourful cement floors and bathrooms as well as the pastel ecological colours give a different sensation to the facilities. 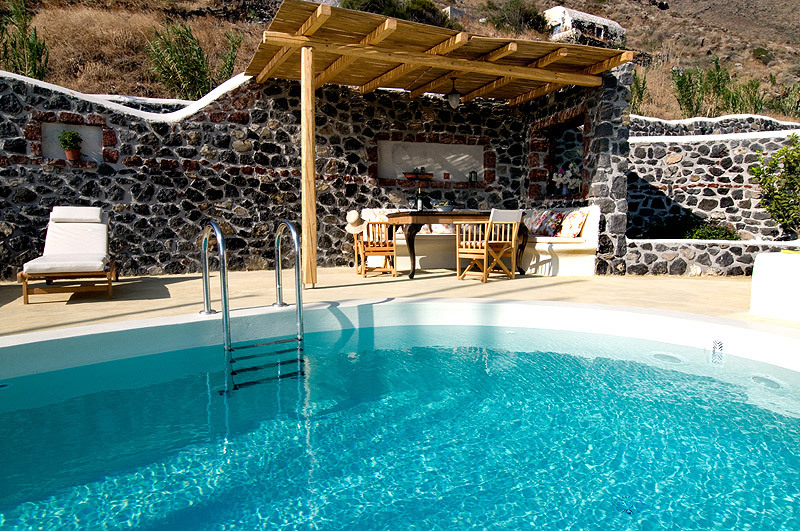 The swimming pool in a shape of bean offers an ideal hydro- massage for 4 persons and is located near a pergola in the shadow of which you may enjoy your breakfast and your meals. 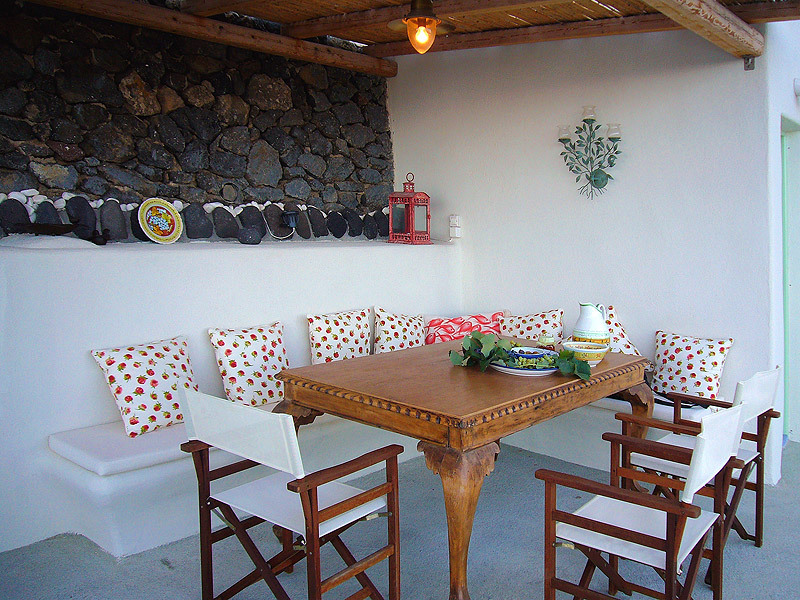 The garden with the biological season- products can offer you a Mediterranean healthy meal. 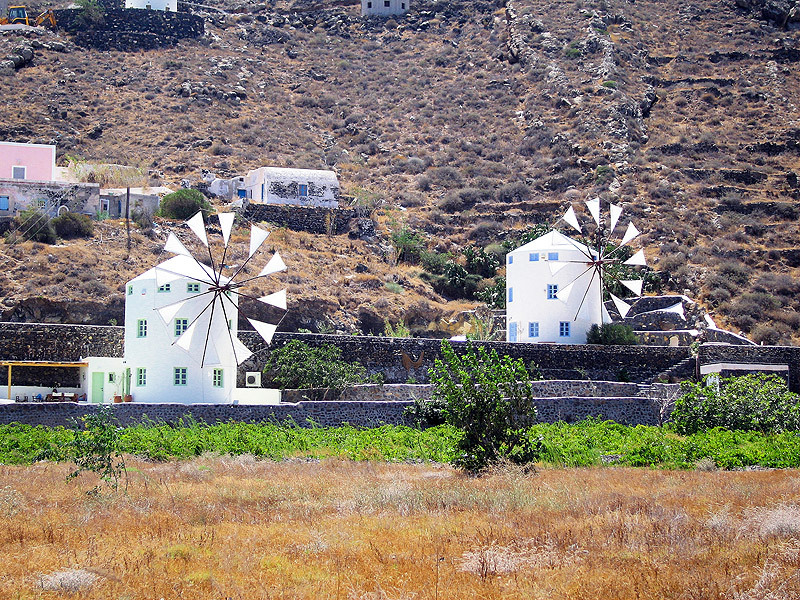 The absolute quietness and the privacy of the facilities as well as the minimal architecture of the windmill shall offer you an unforgettable hospitality and shall be considered as the starting point for your excursions. We are always available to provide you information about our island. 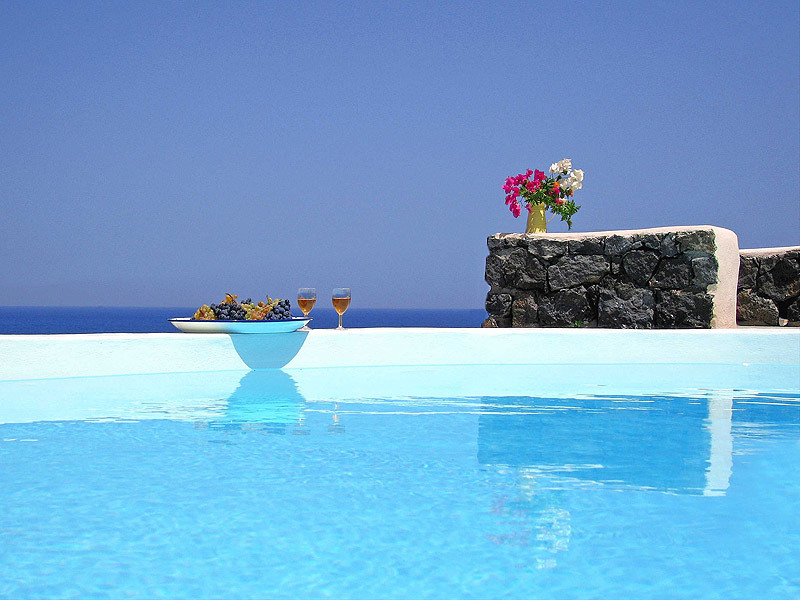 Images and wonderful scents shall accompany you forever and the views of our island shall make you want to stay there forever.